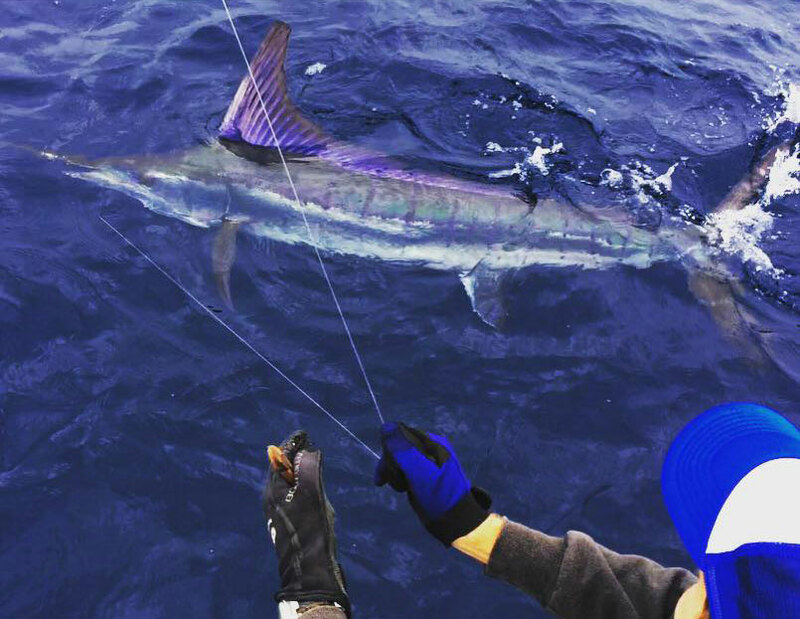 Dylan Rose, Travis Rose, and Gene Perry teamed up to catch and release a nice striped marlin on Sunday, August 9th that he estimated at 8′ in length and approximately 200 pounds. Dylan hooked the fish, but the trio each took 3 turns fighting the fish. 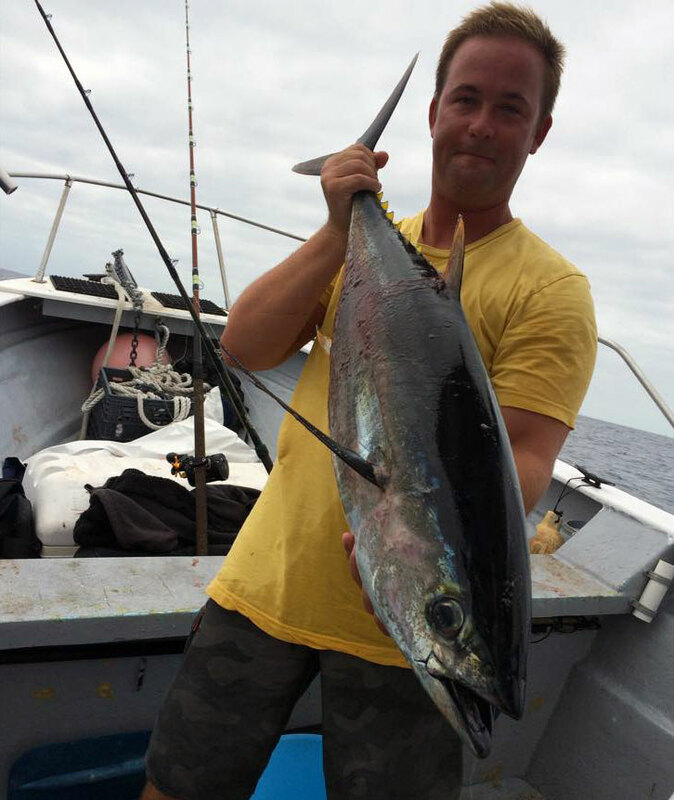 The marlin was not the only fish they caught of course, in this season of spectacular local tuna fishing. 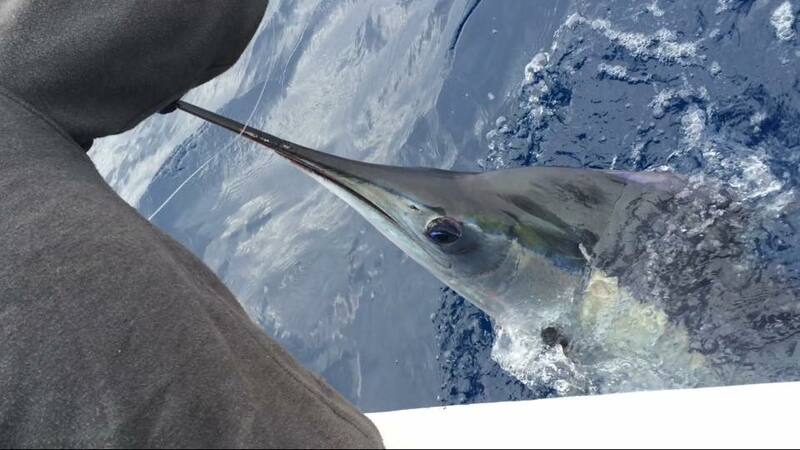 Perry said that yellowfin and dorado were also on the chew, with the tuna hanging around the boat. Lots of anglers are reporting this right now, tuna using the boat like they would a kelp paddy to help relate to the same area. For GPS coordinates to the 181 and other local hot spots, check out our San Diego Sportfishing Map. Well done!! I’ve never seen one that size out here! Congrats. Baited one Sunday that had to be around the same size. Got short bit she sank out. Saw this thing tail walking as we motored by! Epic! Nice catch! 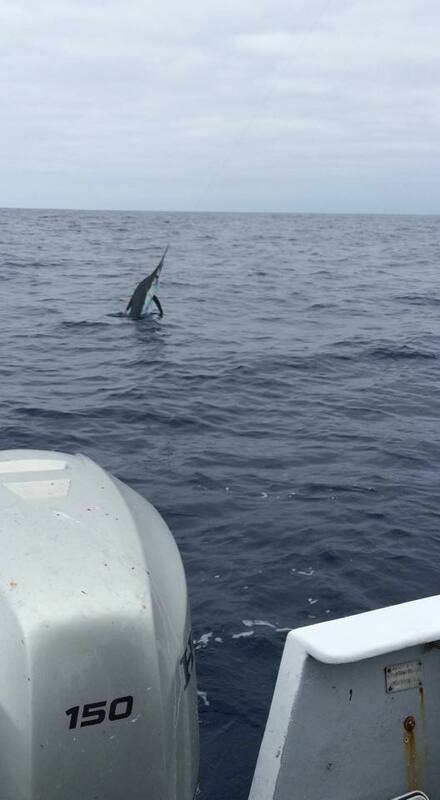 Finally someone who released their marlin! Congrats on the great fish!